This gallery is intended for viewing only. Photos are not for sale. 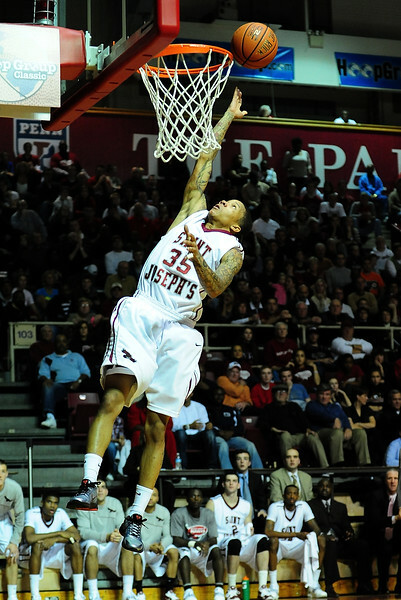 26 November 2010: Saint Joseph's Hawks guard Carl Jones (35) elevates to the basket during the second half against the Rutgers Scarlet Knights at the Philly Hoop Group Classic played at the Palestra in Philadelphia, PA.